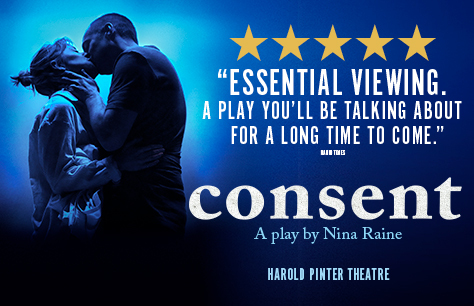 Nina Raine’s ‘blistering new play’ (New York Times) makes a triumphant and timely transfer to the Harold Pinter Theatre. Recommended for ages 15 and above. This play contains strong language, makes reference to, and depicts sexual violence. brilliant play , well cast , well acted , sensitively handled a difficult subject , and appropriate humour . I really enjoyed the play, because we changed seats once it started. one of the seats the view was very limited the other wasn't both cost the same this didn't seem right.